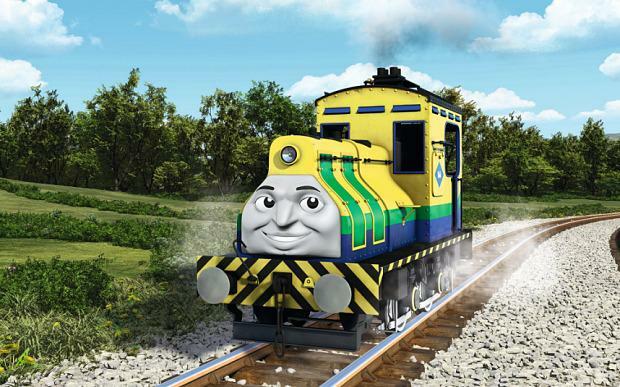 Thomas the Tank Engine will get 14 new characters including Raul of Brazil and Yong Bao of China. Since its creation in 1946 by British clergyman Wilbert Audry, Thomas the Tank Engine has charmed generations of children, imparting gentle wisdom while keeping alive the romantic nostalgia of British railways. But even the Island of Sodor cannot remain in aspic forever, and owners Mattel have announced that the sleepy setting is to be shaken up by an influx of foreign characters. In a nod to the realities of cultural diversity in modern life, Thomas is to make 14 new friends from countries like India, Brazil, China and Mexico. It is the latest effort by toy giant Mattel to expand the reach of the franchise which already brings in more than £500 million in annual retail sales, one of the largest of any toy range in the world. However the announcement of the new cast has led to fears that the ambience of the programme could be lost. There are also worries about cultural stereotyping. Ashima of India is ‘happy to help out’ while Carlos of Mexico is ‘proud’ and ‘always wearing a smile’ as well as having the type of eyebrows last seen on Frida Khalo. Speaking of the new characters she said: “I applaud the idea, but am concerned about execution. “There is a danger in reducing very complex countries and peoples to singular characteristics. If the trains are only defined by cultural stereotypes, the result will be a calculated, and destructive, nod to diversity and inclusivity”. There are also fears that the traditional feel of the programme could be lost forever. Psychologist Dr Aric Signman said one of the attractions of the show was its slow-paced nature and the small cast of characters which helped children’s development. “Children do not benefit from a lot of variety,” he said. “If there are going to be a lot of new characters then it will be more difficult for children to invest in the narrative and to feel connected to the story. Rev Awdry, a vicar in the parish of St Nicholas, in Kings Norton, Birmingham, wrote his first story about an anthropomorphised train in 1942 to entertain his son Christopher who was ill in bed with measles. The following year, having written two further stories, he was encouraged by his wife, Margaret, to send them to publishers. The resulting book, The Three Railway Engines, was published on May 12 1945 and was an instant success. Rev Awdry, who died in 1997, went on to write 26 Railway books and see his creation turn into one of the world’s most successful children’s brands. Asked whether her father would have approved she added: “What he would have been pleased about was to think that Thomas is still bringing such joy and pleasure to grown-ups all over the world. It is not the first time that Thomas the Tank Engine has welcomed international characters. Hiro the Japanese engine has been a frequent visitor to Sodor. But the books and subsequent series have been frequently criticised for their lack of diversity. 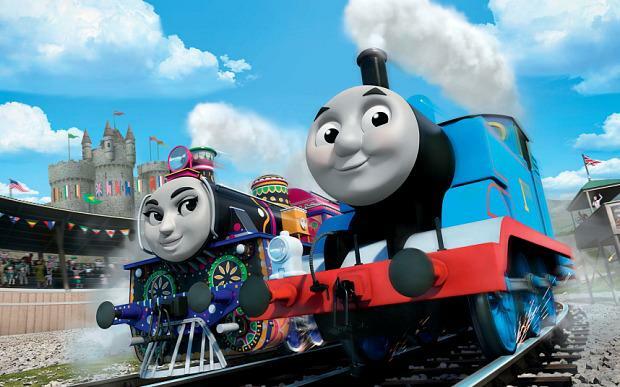 “Something about Thomas & Friends gives liberal parents the creeps,” she added. 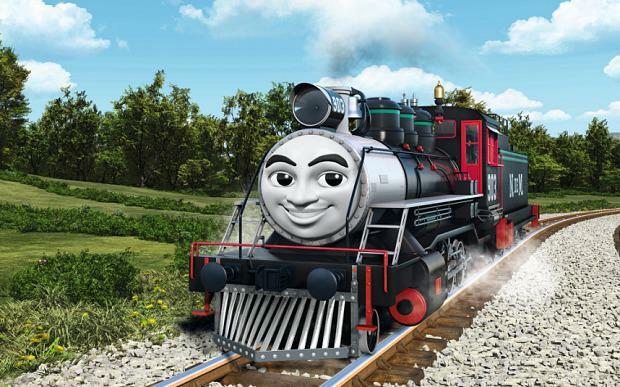 Mattel has been keen to move the children’s programme forward since buying its production company in 2012. 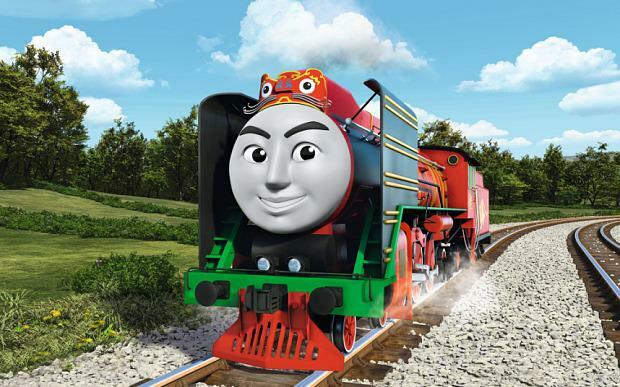 The characters, will be introduced in a new film called ‘The Great Race’ which will be released in cinemas in May in Britain and globally on DVD in August. Yet just four of the new trains are female which will do little to appease parents who criticise the over use of male engines. Fathering boys or girls: which wins?